A powerful pre soak surgical instrument and scope cleaner. 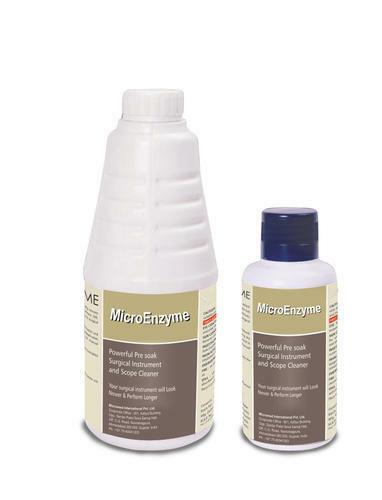 Micromed surgical cleaner is a unique combination of enzymes which efficiently removes blood, tissue, mucous and other protein rich body fluids from surfaces like Stainless Steel, Tungstencarbide, Aluminium, Brass, Glass, Plastic, Delicate microsurgical instruments and Flexible and Rigid Scopes. Instantly works on breaking down blood, tissues, mucous and other protein rich body fluids. Ensures quick and thorough cleaning. No other cleaning ingredients are required. Facilitates rapid turn around time.